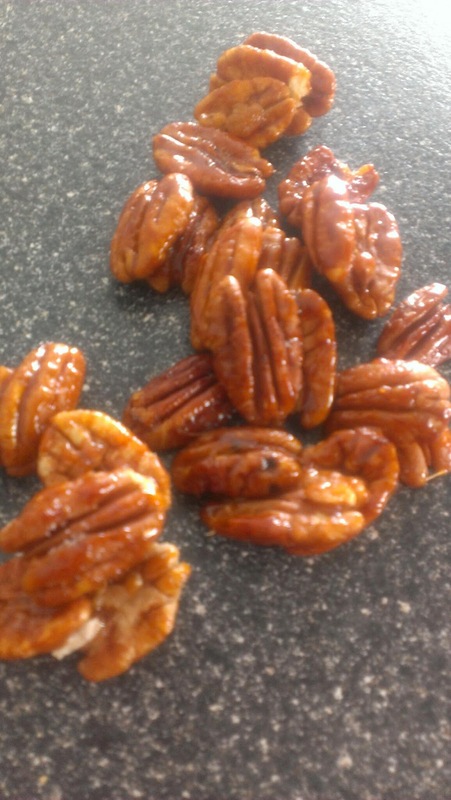 Candied Pecans or any Nut, made a great addition to a Salad. I keep my nuts in my freezer and toast them when I am ready to use them. If making a small portion of candied nuts, heat a small pan, add 1/2 cup nuts,toast lightly and remove, to the same pan add 2 tbsp sugar and 2 tbsp honey and when they melt together, bring the nuts back in and toss quickly. Remove to a greased parchment paper. to top a cake or incorporate on a cake. Want to keep them for later? Just store them on an airtight container.